Should a 30 Year Old Think About Retirement? 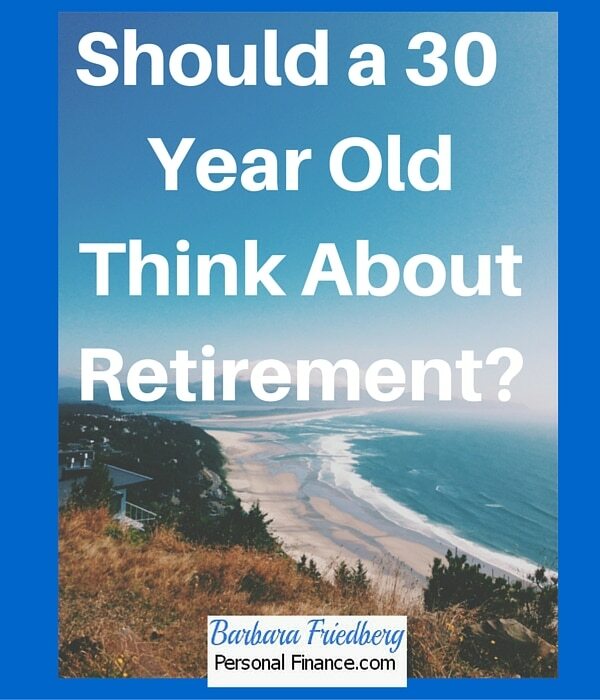 Get the Answer; Should a 30 Year Old Think About Retirement? The earlier you start planning for retirement, the easier it is to save what you need. If you’re in your 30s, retirement may seem a long way off. But did you know that’s actually a good thing? More than anything, having time on your side can make or break even the best-laid retirement plans. The reason for this is compound interest. Should a 30 Year Old Think About Retirement? Yes. Here’s how to do it, and it’s easier than you think. 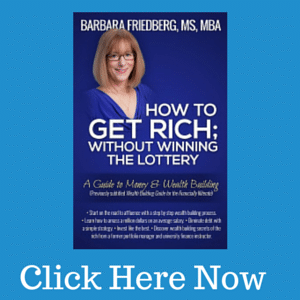 Would You Like Access to Top Notch Online Money + Investing Courses? 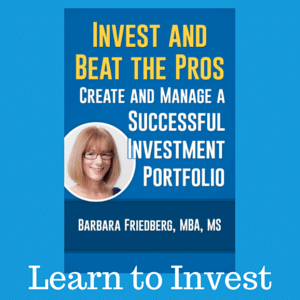 Here’s a sample of courses to help with your money and investing needs. Perfect for someone just starting out. Build Your Investment Strategy and Many More. These fun, brief, online money and investing courses will educate you about important money and investing topics. You’ll earn back the low price by implementing just one or two strategies. I’ve partnered with Wall Street Survivor to Offer you a free 3 day trial. Try all of the courses over a week-end and if you want out, there’s no cost to you. Compound interest or returns makes saving for your ideal retirement easier. The way compound interest works is simple: it pays out interest not only on your original investment, but also on the interest that has collected over the years. Imagine that you made a deposit of $1,000 in a fund with an interest rate of 3% annually. If the interest compounds monthly, you will receive $30.42 in interest in the first year. For your second year, your interest will be applied to the new balance of $1,030.42, which means that your return will be higher: you will receive $31.34 in interest, bringing your total up to $1,061.76. In your 10th year in this fund you will receive $39.83 in interest, bringing your initial investment up to $1,349.35, even if you never contribute another penny of your own. In your second year, assuming you continue to contribute $100 each month, you will receive $88.12 in interest and your balance will be $3,538.21. Year ten will bring in $437.03 in interest, and your ending balance for that year will be $15,358.43! But How Much Retirement Money Does a 30 Year Old Need? Bringing your retirement nest egg up to $15,000 using compound interest over 10 years is an exciting prospect, but, regardless as to what you intend on spending in retirement, it’s very unlikely that $15,000 will get you far. In fact, $15,000 may not even cover a year’s worth of expenses. While some experts believe that you should plan to spend roughly 85% of your pre-retirement income during your retirement years, in reality you may need much less than that. Consider the difference between you-at-30 and you-at-65: 30 year old you may have lingering student loan debt, might have recently purchased, or considered purchasing, a home, and could even be considering starting a family. The expenses we face at 30 will likely not be present at 65. To envision your ideal retirement savings, ask yourself what debts or expenses may be still lingering in your 60s, and which may be gone. Realistically, you may still have your 30-year mortgage. But will you still have $500 each month in student loan debt? You may also consider lifestyle changes. If you have a family now, will you still need or want that 4-bedroom home with the large yard, or would a smaller location do? Keeping these potential changes in mind, create your target yearly spending in retirement and then multiply by 25. This is your retirement savings goal. Don’t forget that you’ll be receiving money from Social Security, so you won’t need your retirement savings to fund all of your spending. Is that goal a bit overwhelming? Don’t worry yet! Remember: time is on your side. Let’s consider a few scenarios and see how time, combined with compound interest, can make a difference in your retirement savings. Still wondering…’Should a 30 Year Old Think About Retirement?’ Keep reading to find out how much easier it is to start saving for retirement sooner rather than later. Let’s start small. Jenny is 35, and wishes to retire at 65. She has saved $10,000 so far, and makes $60,000 per year between her salary and her husband’s. Jenny has few expenses, as she has no children and no debt, and plans to spend only $30,000 each year in her retirement. Jenny will need to have $750,000 saved in her retirement fund over the next 30 years. Luckily, Jenny has time on her side. 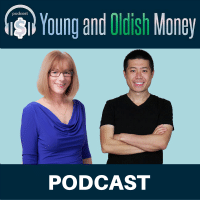 First, Jenny moves her $10,000 into a retirement account that a yearly return of 5%. She also decides to contribute an additional $850 each month to this retirement fund. For the first 10 years, Jenny’s contributions and compound interest have brought her initial $10,000 up to $149,009.99. Out of this amount, she has contributed $112,000, and received $37,009.99 in interest. However, something interesting happens in year 14: Jenny begins making more in interest and capital appreciation than she deposits. While her yearly contribution of $10,200 – or $850 each month – has remained the same, Jenny receives $10,827.47 in returns in year 14 alone. This amount continues to increase each year. By the time Jenny reaches age 65, her 30-years of saving have paid off: She has surpassed her retirement goal by saving $755,044.87. Of that amount, $316,000 came from her own contributions, and $439,044.87 came from compound interest. Benjamin, who is 30, has a more lofty savings goal than Jenny: he wishes to be able to spend $80,000 each year in retirement. Benjamin wants to be sure he continues to enjoy life after he stops working, and has plans to travel. However, in order to have $80,000 to spend each year after he turns 65, Benjamin will need to save $2,000,000, without considering Social Security income. With Social Security benefits, he’ll need to save less. But, just for fun, let’s take a look and see how 30 year old Benjamin could save up to $2,000,000 for retirement. And if you’re still wondering…Should a 30 Year Old Think About Retirement? The answer is still yes. Unlike Jenny, Benjamin has not started saving for retirement. However, his expenses are low and he has a lot of disposable income. In order to reach his goal of two million dollars by age 65, Benjamin will need to save $1,000 each month in Mutual Funds that offer 8% annual returns. Things move very quickly for Benjamin: in his first year, he receives $532.93 in interest on his first $12,000 in contributions. By year 5, Benjamin is making $5,241.12 in interest. Year 14 brings a stunning interest payment of $23,336.30, which is almost double Benjamin’s yearly contributions. If Benjamin continues contributing $1,000 each month and maintains his 8% return, by age 65 he will have $2,309,175.03 saved for retirement. The best part? Benjamin contributed only $420,000 of that amount. The remaining $1,889,175.03 came to him in the form of compound returns on his investments. Your retirement plan needs to make sense for your own needs. Time is on your side when you’re in your 30s: find out today how much you need for retirement, and begin saving now. Calculations for Jenny and Benjamin were made using this compound interest calculator.